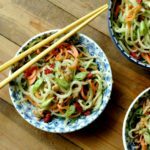 Fresh and crisp cucumber noodle bowls tossed with a savory Asian almond dressing, all in just 10 minutes of time! I’m treasuring them! 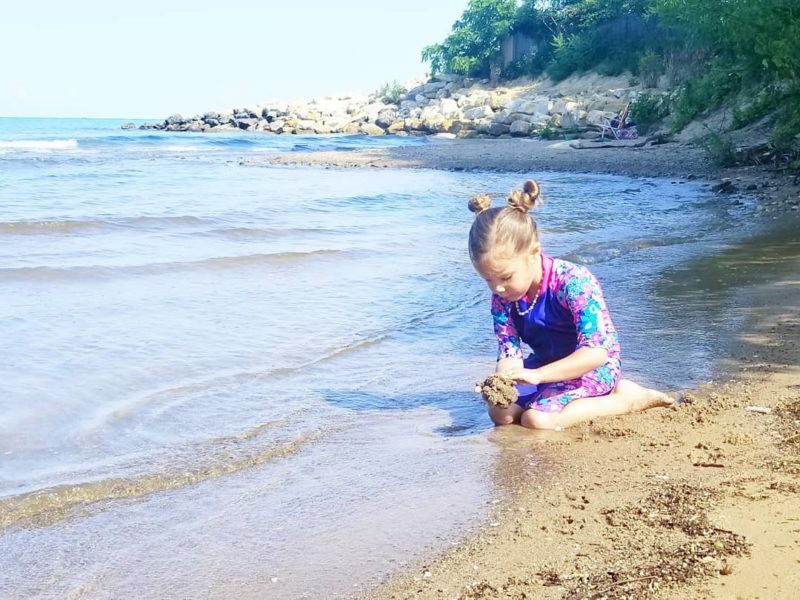 We are officially less than a month away from the school year, and I’m savoring all I can! For myself, summer can be too easy to fall in to settling on the same lunches, or quicker, easier options for meal time. 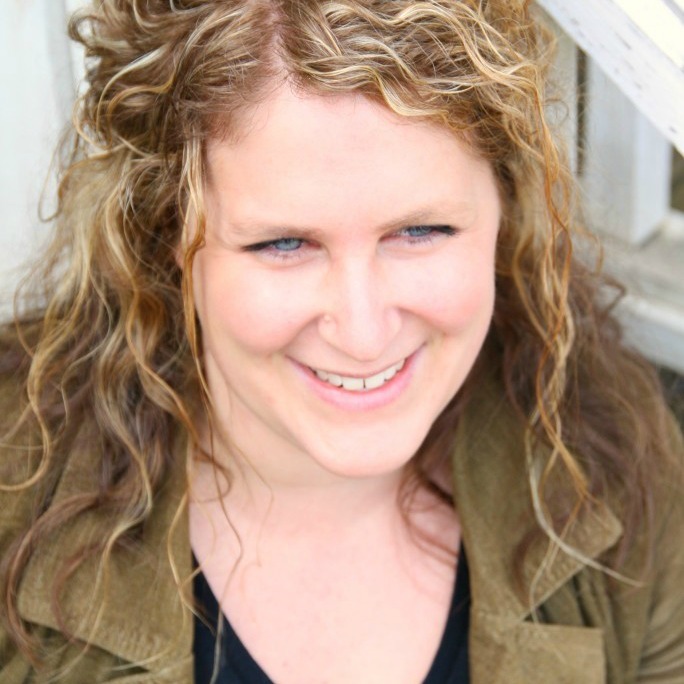 There is certainly nothing wrong with that – especially if you can still make it quick, easy, AND healthy. Summer presents a load of amazing produce to stock your kitchen with every week, so the possibilities are endless really. This is the time of year where you either have cucumbers coming out of your ears from your own home garden, or you are unloading the abundance of cucumbers coming out of your local farmer’s garden! It is such a money saver to your budget to buy produce in season, and when those summer veggies are in full swing, you can really take advantage of the abundance and save some money on your grocery bill. Honestly, I hesitate to even call them noodles, because this self proclaimed carb lover adores her some real pasta every now again! 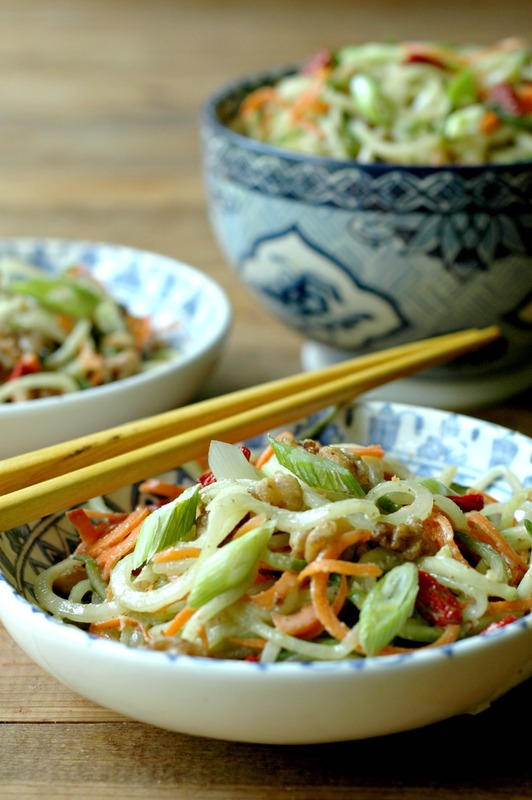 But when you spiralize cucumbers they look just like noodles (This is the spiralizer I have), and this noodle bowl is so satisfying with the savory Asian dressing to go along with the crisp crunch of the veggies. The best cucumbers to spiralize are the long, skinny kind. They don’t have as many big seeds, and they are less watery. They are nice and firm, and hold up in the spiralizer well. Just cut the ends off, and then cut the cucumber in half, then spiralize away! I also spiralized the carrots in this recipe – if you can get your hands on some thick carrots, they spiralize really well. If your carrots are on the skinny side, just peel strips of the carrot instead. YES! This means that not only could it make a great potential lunch, it also makes a very fast prep dinner side dish. Which is how I have been using it the majority of the time. This recipe as written feeds my family of 5 for one dinner as a veggie side dish. It is fast to prep while hamburgers or chicken are grilling. If you want to bring this noodle bowl to lunch with you at work, or a park trip, you’ll want to pack the dressing on the side. The dressing draws the water out of the cucumber noodles after it sits for more than 15 minutes. Also, your dried goji berries will start to pick up some of the liquid from the cucumbers when it sits too long, so if I am taking this along with me, I keep the goji berries on the side to add in with the dressing. My girls actually like it when the goji berries re-hydrate and get super soft, so if that is your preference, go for it! 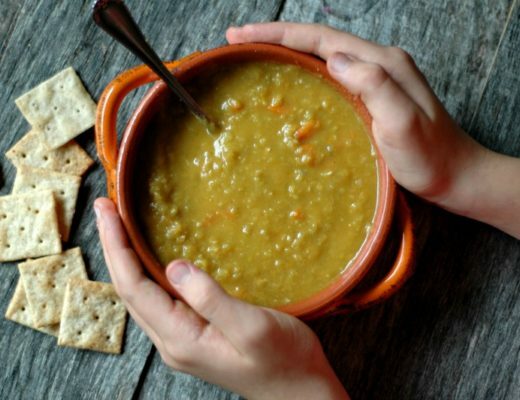 The recipe as written is bare bones minimum which we definitely love! If you want to change things up here are some other ideas to add in, or swap around! Hardboiled eggs. One of my favorites, and a great way to make this a full lunch meal. Other nuts and/or seeds. It’s always nice to change things up for different flavors, and for adding different nutrients to your diet. Try sunflower seeds, sesame seeds, pumpkin seeds, pistachios, or cashews! Sea salt/pepper to taste. You probably won’t need sea salt since the coconut aminos like soy sauce is salty. Taste the dressing before adding any salt. 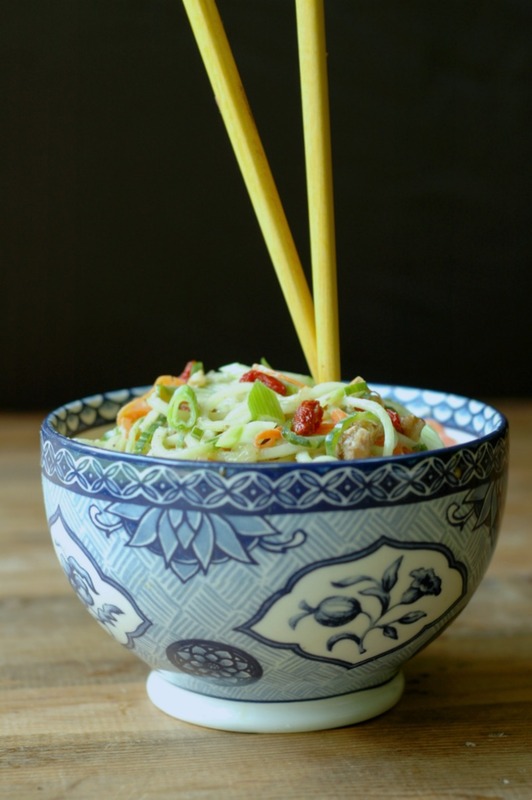 Toss all of the noodle bowl ingredients in a medium mixing bowl. Start with pouring 1/3 cup of dressing into your salad and then add more per your preference. 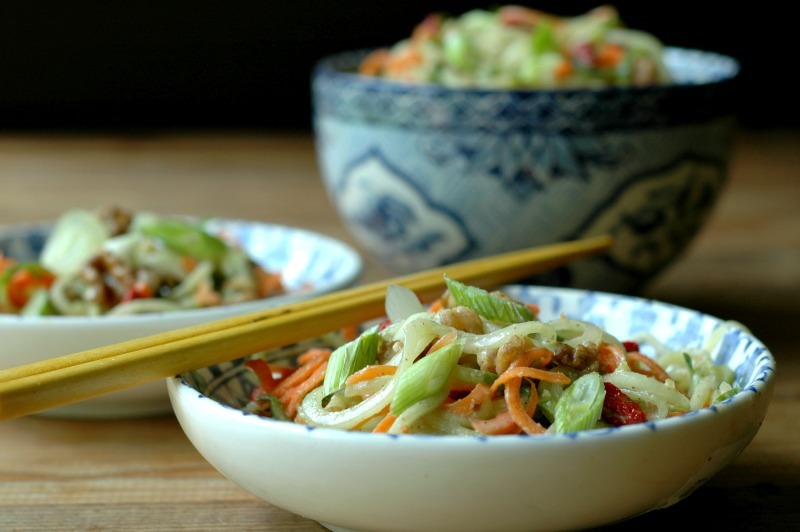 You will not use all the dressing most likely, but it keeps in the fridge for weeks, so you can make this noodle bowl (or even a regular salad”) more often and quicker with the dressing already made! Colourful and crunchy too! Love the ‘take along’ gingery garlic dressing idea. Makes it portable and easy. Goji berries? So good. I think some nuts + seeds would be yummy to and add another level of flavour and crunch! Thanks. Will get out that spiralizer!! These look so refreshing! I haven’t made zoodles in way too long. Thanks! Looks fantastic. Love the goji berries in there. Yes, this is what we have more of than anything else- cucumbers! Thanks Renee!! I can’t wait to make this. My boys and hubby will love it!! This looks so light and delicious. Love this recipe! It’s be 90+ degrees here today and this sounds so refreshing and good! Love spiralized veggies. Loved this salad!!! It was so simple to make and the dressing was lovely. Putting my spiralizer to use again. 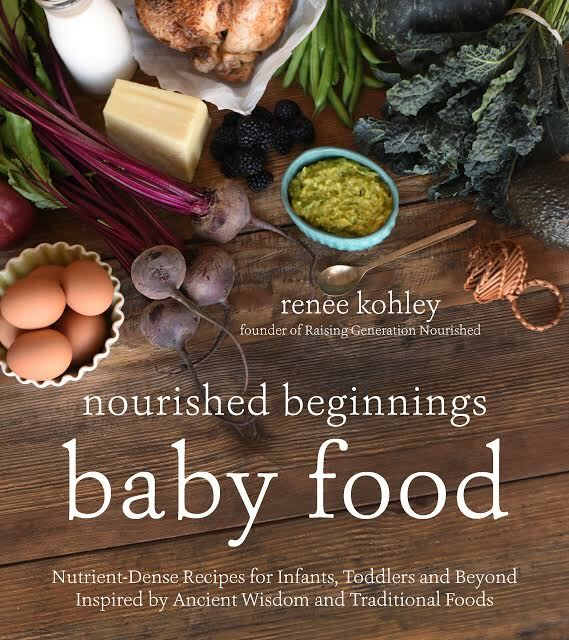 You always have the best, family-friendly recipes. Making this tonight for dinner. I most definitely hav 10 minutes to make this! Looks amazing. In your picture it looks like a zucchini that is next to your spiraler, not a cucumber. Can you clarify which vegetable you are spiraling? 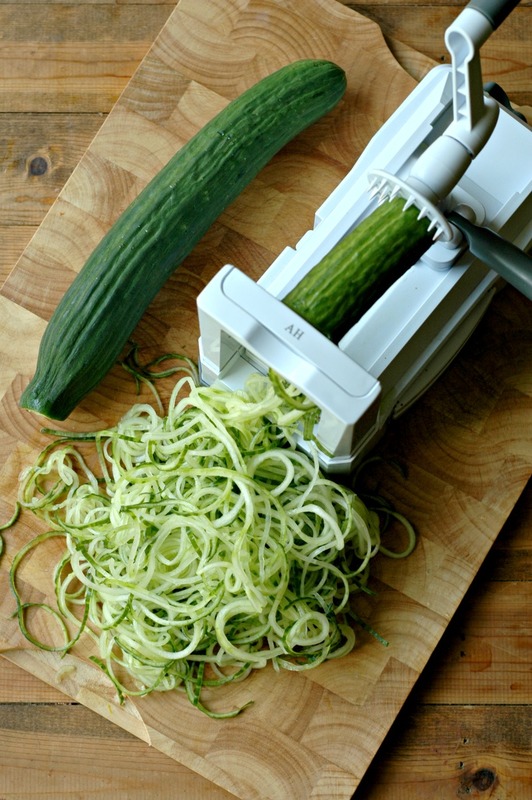 Love spiralizing my veggies and cucumber is no exception. Thanks for the tip on how to choose the ones that are less watery. Stop it! What a perfect idea for summer! I’ve been looking for a dressing just like. This is perfect! I’ve been looking for a dressing just like this. This is perfect! YUM ! That’s totally delicious. Look at that gorgeous color, too ! I love my spiralizer, and I love quick and easy meals like this! I bet the flavor is out of this world! Absolutely the perfect summer dinner! Love it!! 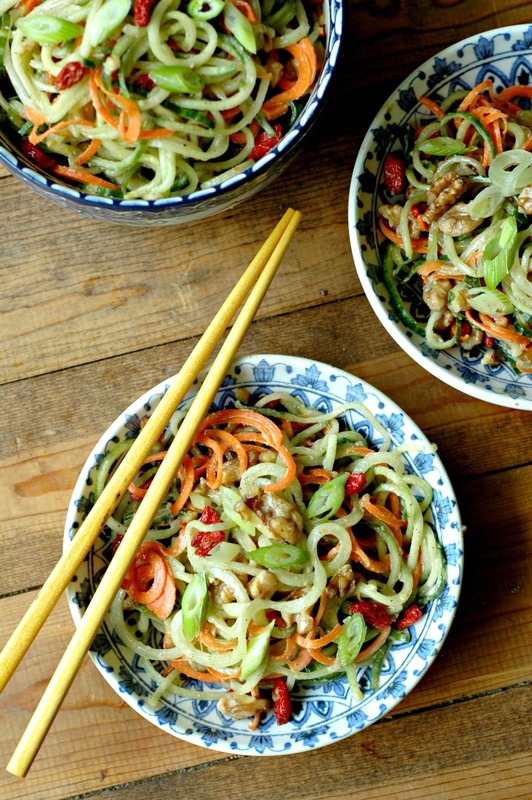 Cucumber noodles are so refreshing in the summer! And that almond butter dressing looks incredible! I like everything that comes out of spiralizer! So crispy and so pretty! 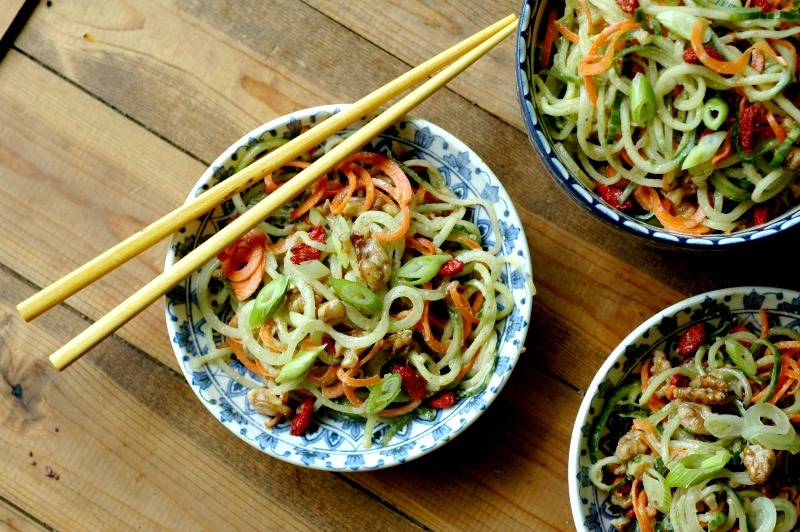 Love this spiralized cucumber salad. It’s perfect for these hot summer days! I need to make better use of my spiraliser thanks for the inspiration! This is so tasty and healthy. Loved the dressing :). My noodles never turn out as pretty as yours. 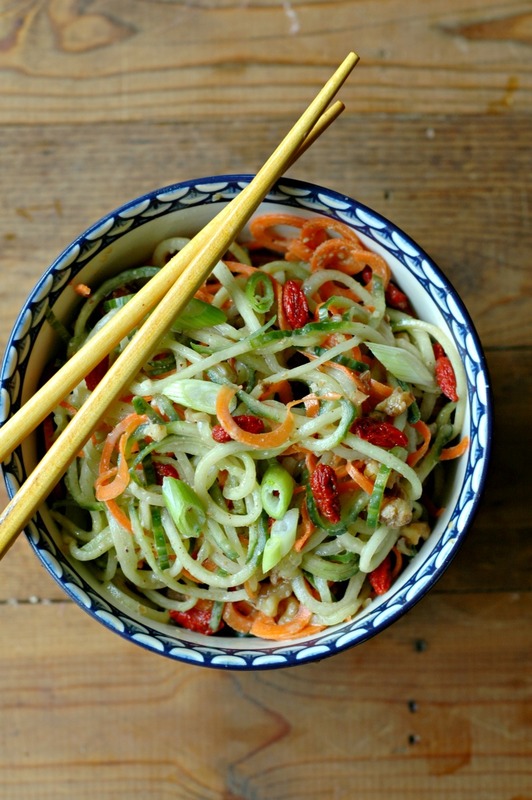 I have never thought to spiralize cucumbers….and I have leftover ‘peanut’ sauce to try it too!! Can’t wait!